A difference in potential will be observed if electrically connected specimens of the same metal are immersed in solutions having different concentrations of ions of the metals. This is one common type of concentration cell. Another type is the oxygen concentration or differential aeration cell. This type and the metal ion cell can oppose one another. For example, variations in oxygen concentration can establish oxygen concentration cells. In solutions containing metal ions, the solubility of oxygen may vary, depending on the concentration of metal ions. Local cells can be produced by differences among small nearby areas on the metal surface. They may result from differences in the metal, or the environment, or from impressed currents. Metal variations may be the result of composition differences. A second phase constituent will have a different corrosion potential compared to that of an adjacent solid solution. The difference may be in the thickness of a surface film at adjacent sites which in turn may reflect metal differences in the substrate. 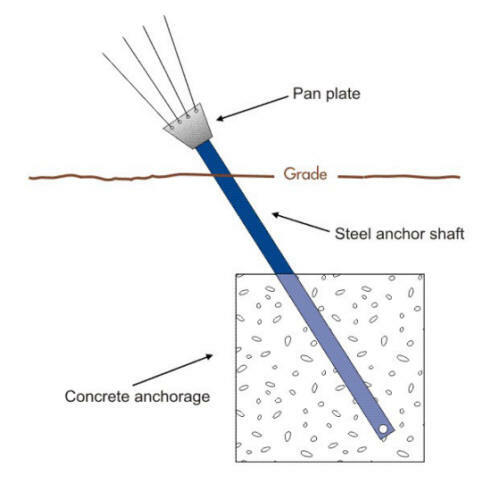 The corrosion of guyed tower anchors such as shown in the following two Figures and which is becoming an issue of critical importance will be used in the next sections to illustrate some of these corrosion cells. Soil type can vary even within a few centimeters or inches and this variability can cause multiple corrosion cells on the same structure. 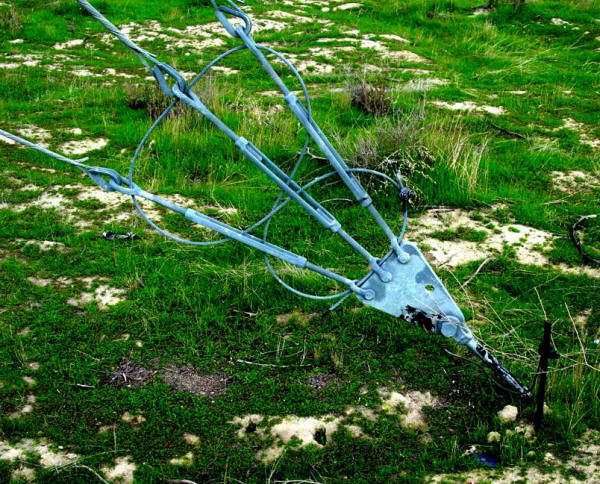 In many cases, the loss of one anchor to corrosion has resulted in the catastrophic loss of the supported communication tower as exemplified in the following Figures. What is a corrosion cell and what are its main components? 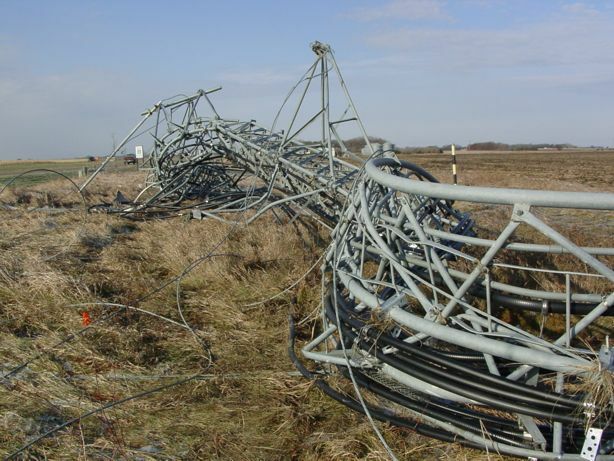 Can you imagine some corrosion cells that would be cancelling each other? Describe the effects of corrosion stress cells in terms of energy release. 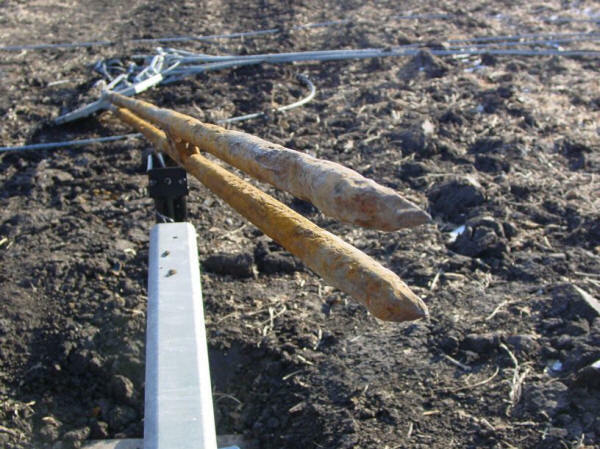 Provide some examples where microbes have been found to be the root cause of corrosion problems. Can crevice corrosion degenerate in other forms of corrosion? Provide some examples. Why is it important to consider the electrical conductivity between various components when suspecting the presence of a galvanic corrosion problem?